Some things at your local grocery are not for sale, such as the bins that hold the apples and the knives the butcher uses. But of course 99% is for sale, and they don't care if you buy just one bottle of ketchup or all thirty of them. 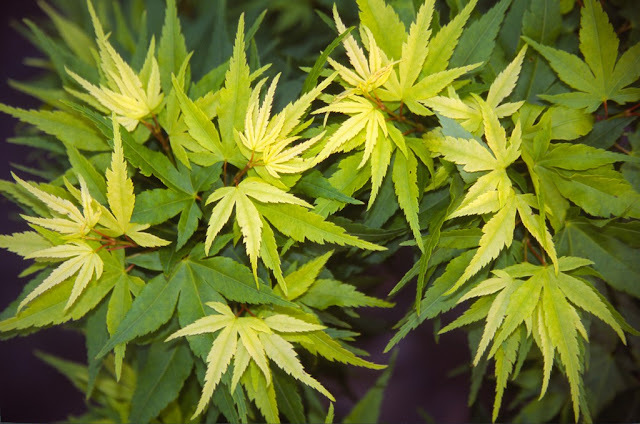 Some customers who visit Buchholz Nursery have the mind-set that every plant we have must be for sale, to them. If they see a row of fifty plants, then certainly we can spare at least ten for them. But maybe all fifty are sold and we're waiting until spring to ship. Or maybe I need to save some as stock plants. Or maybe I bought high-priced lining-out plants, so there would be no profit for a couple of years. Or maybe I just don't like you. It is often enjoyable to own a nursery where I can surround myself with any type of plant that I want, whether I intend to sell it or not. 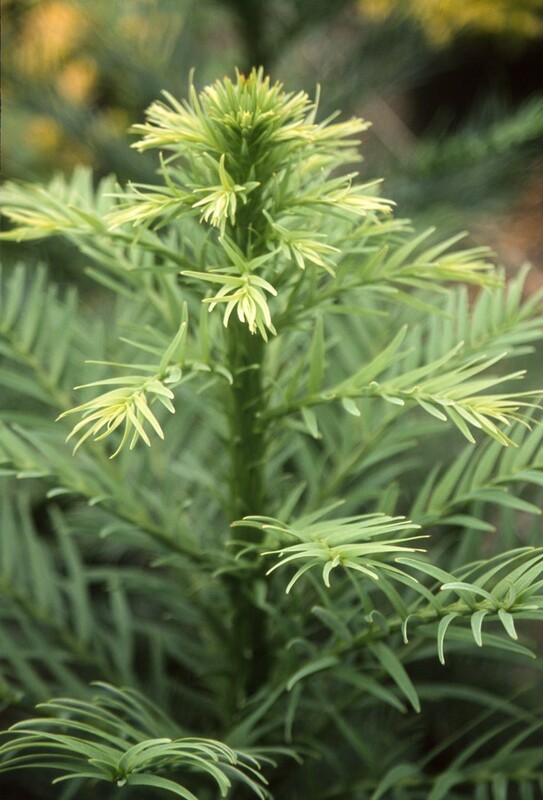 GH20 contains many such, for example Wollemia nobilis, and at some point it will hit the top of the greenhouse. Then I'll either sell it or get the ladder out annually to prune the top. 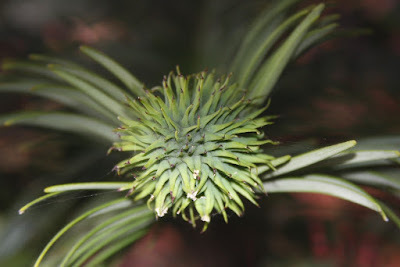 I paid $100 to acquire it – way too much for a one-gallon pot – but with the understanding that most of the money would go to Wollemi conservation efforts. 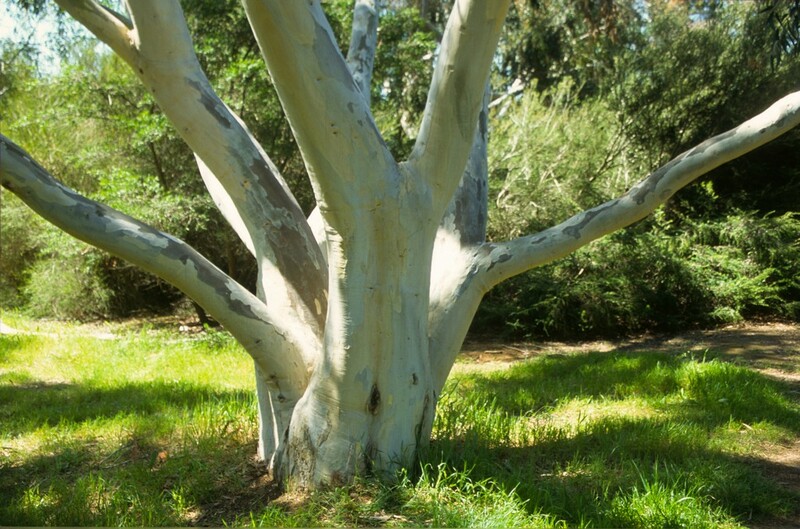 The National Geographic Society promoted the affair, and my tree is identified as '05580', perhaps suggesting that 5,579 other Americans own one too. Would I sell it for $1,000, say? Of course I would, for I am an avid capitalist who has been poor before. 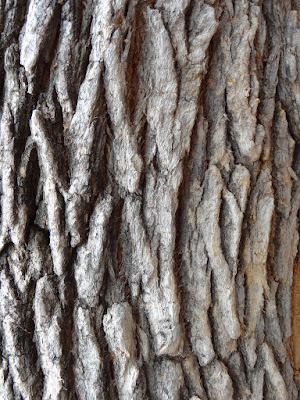 I have another way to “make” a tree not for sale, and that's by putting a ridiculous price on it. 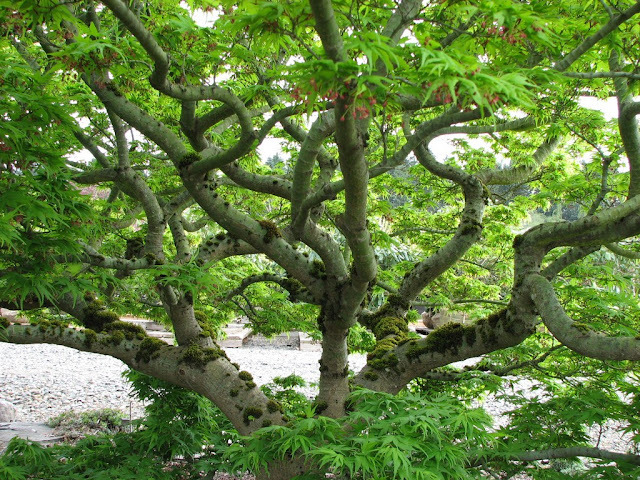 I did that for the largest Acer palmatum 'Fairy Hair' in the world, and more than one potential buyer sighed at my price of $10,000 and declined. I keep this (one of two) original grafts in GH20 and I think it is about 28 years old. 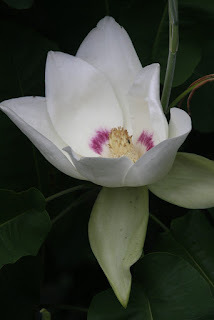 It hogs the middle and is a nuisance in many ways, and I have even considered planting it out in the garden. Imagine my surprise when a New Yorker apparently didn't balk at my high price, and next spring it will be making its way east. I'm not at all smug about the deal, especially since I have seven months to go and anything can happen in the meantime. 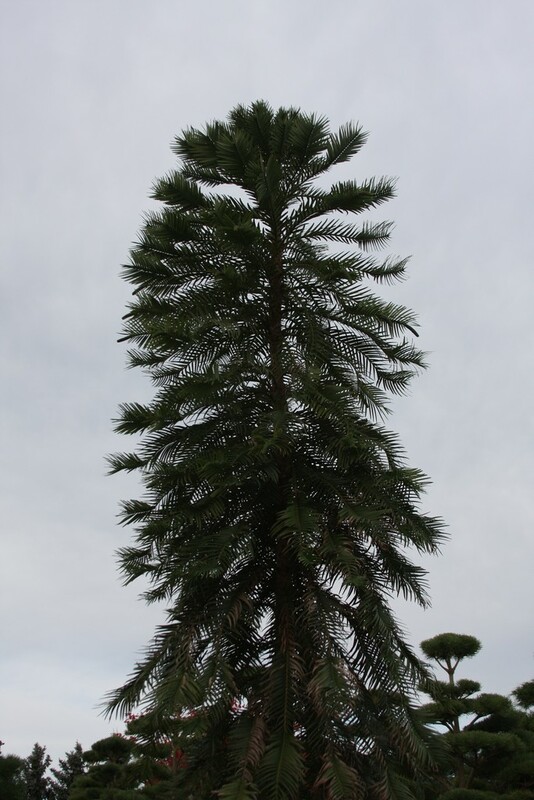 The tree is expensive, but then that is relative, or at least that's what my Uncle Einstein used to say. 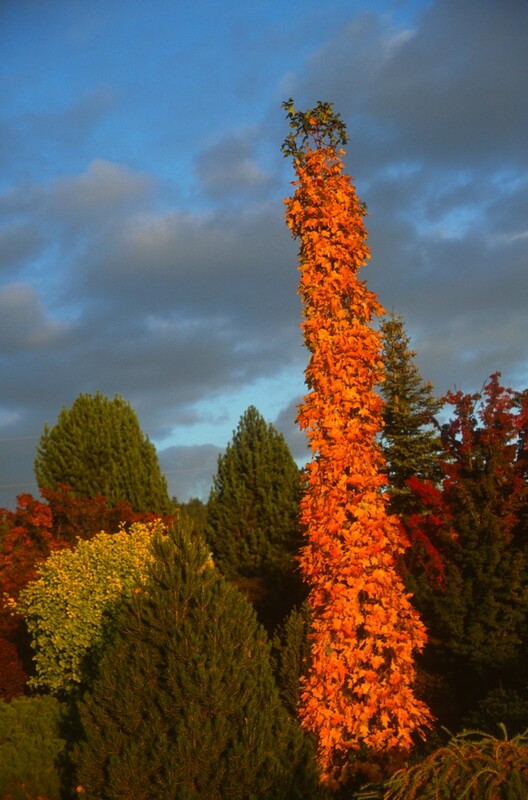 The original seedling of 'Fairy Hair' was much smaller because it persevered on its own wimpy roots, and I sold it to an ex-hockey player from New Jersey of all people, because he had a nice maple collection and I could tell that he would really appreciate it. The original was never for sale either, by the way, but I'm happy that it has a nice home. 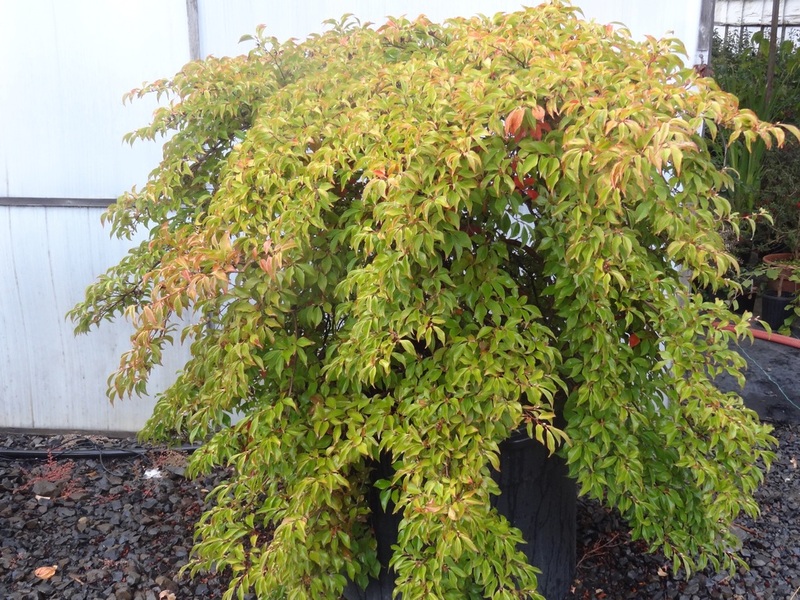 Another plant that I don't want to sell is Stewartia monadelpha 'Pendula', my oldest which I got from Japan about fourteen years ago. 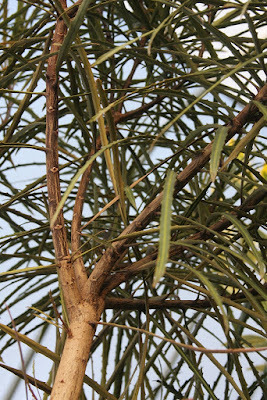 Currently it is in a container in front of GH1 by the main road, and everyone who visits the nursery must walk past it. I guess I'm showing off to have it there, but it would kill me if a knucklehead delivery man was to smash into it. It would kill him too. 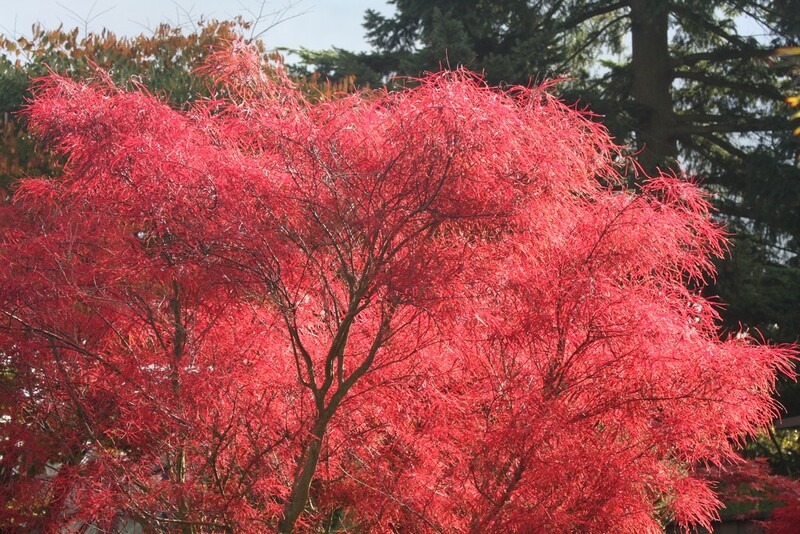 I assume the cultivar comes from Japan, and surely it must have a Japanese name, which I would prefer over 'Pendula'. Maybe my Japanese gifter was just trying to be helpful by describing the weeping habit, but I'm sure an appropriate Japanese name would be more poetic. Besides, a Latin name is invalid these days (since the 1950's). Pendula is from Latin pendere, meaning “hanging” in Old French, and believe me, I know about pendants as my 12-year-old daughter loves jewelry. 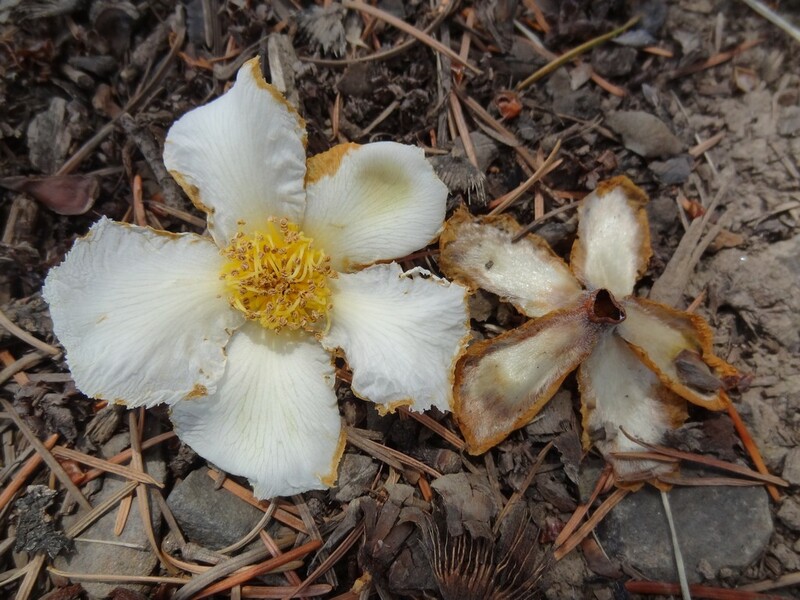 Maybe I should keep the weeping Stewartia in the middle of her room to straighten her out. Another Stewartia that is (sort of) not for sale is S. pseudocamellia that is over fifty years old. It is priced at $24,000, although I really don't expect anyone to fall that far in love with it. The reason why I am so attached to it is 1) because it came from my “grandfather's” garden and 2) its unusual single-straight trunk begins branching at 18'. We call it the giraffe tree. It is currently in a huge cedar box because I can't find the perfect garden spot for it, and also I fear that by messing with it there's a chance it would die. As regular blog readers know I worry a lot. 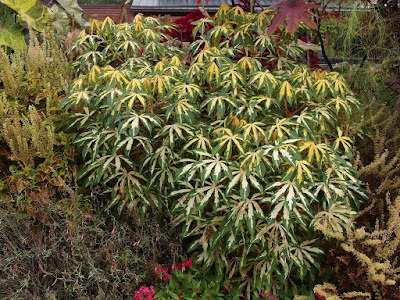 Years ago I collected a Pseudopanax crassifolius and it's now reaching the top of GH20. 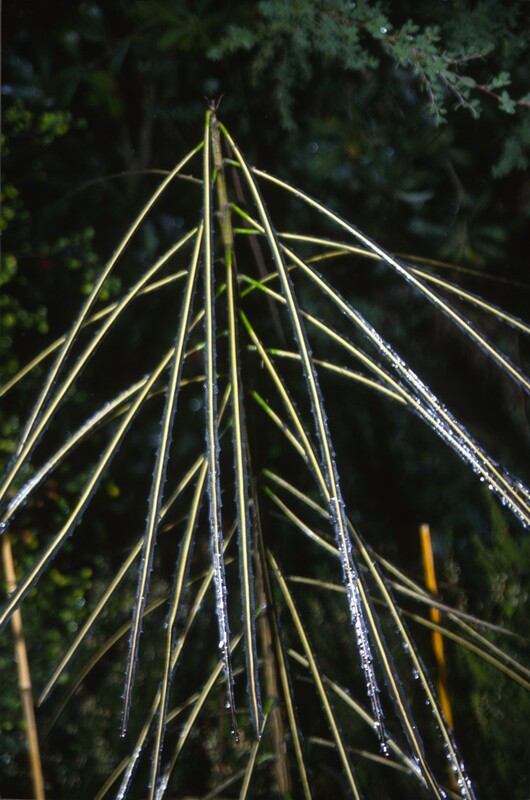 Commonly known as “Lancewood,” the crassifolius species comes from New Zealand. To the native Maori people it is known as Horoeka, but I don't know what that word signifies. What is interesting about the foliage in the photos above is that they are of the juvenile form which lasts 15 to 20 years. 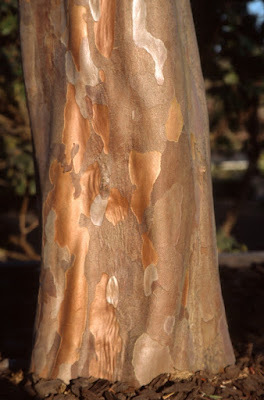 As the tree matures the leaves change to a shorter, more oval shape; in other words, not as interesting. 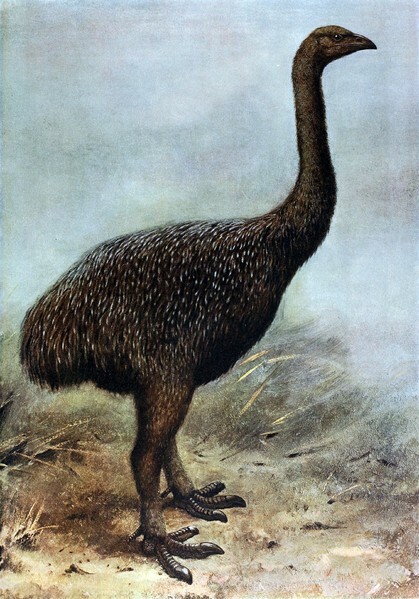 * One theory as to the development of two kinds of leaves is that it was initially protecting itself against browsing by the moa, a giant bird that roamed New Zealand in prehistoric times. I don't know whether or not that is true but it makes for a good story. 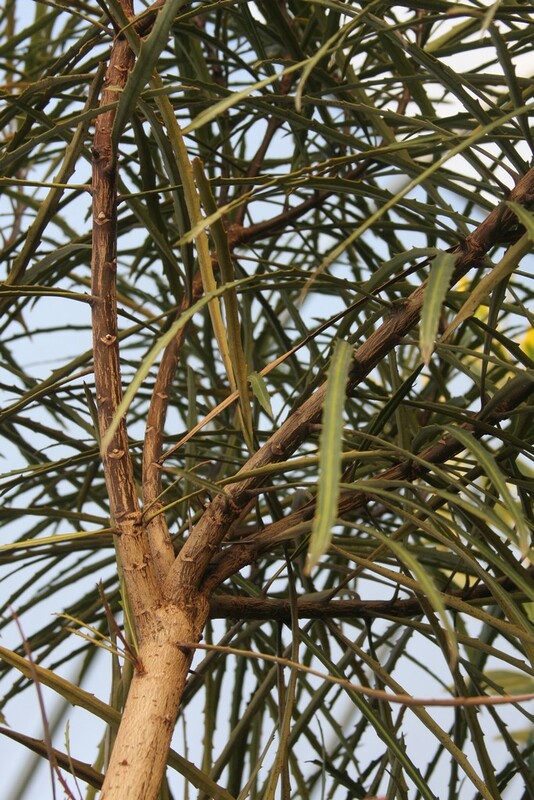 Further theory is that the common name lancewood is derived from the small lances apparent when the wood is split. 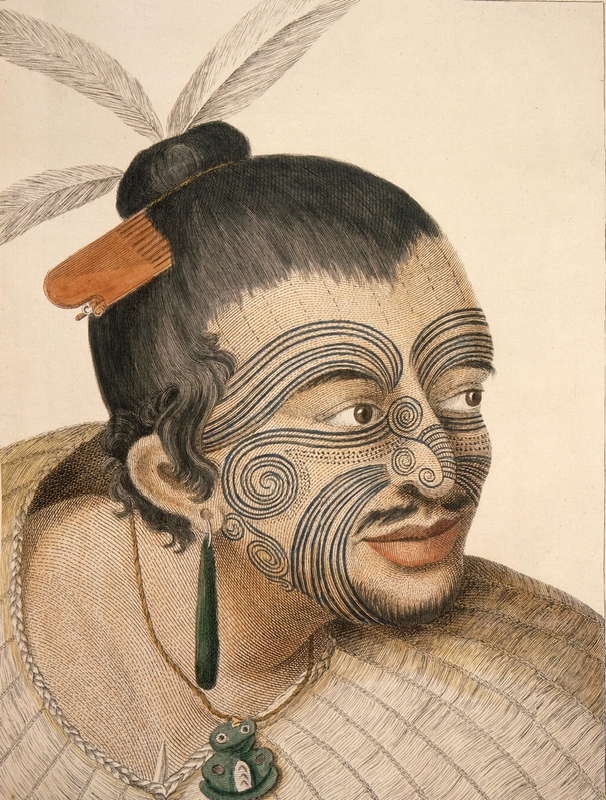 Another possibility is that the early Maori used the young stems to spear wood pigeons which feed on the purplish-black berries, so in either theory it was not named for the appearance of the leaves. A practical feature with the early European settlers was using the leaves as bootlaces, while my daughter uses them cosmetically as fake fingernails. 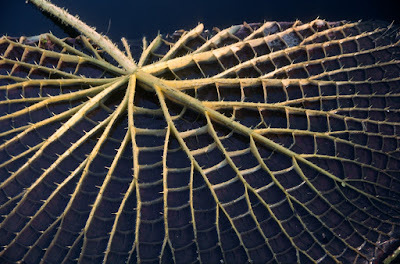 *Botanically, having very distinct juvenile and adult forms is known as heteroblasty. 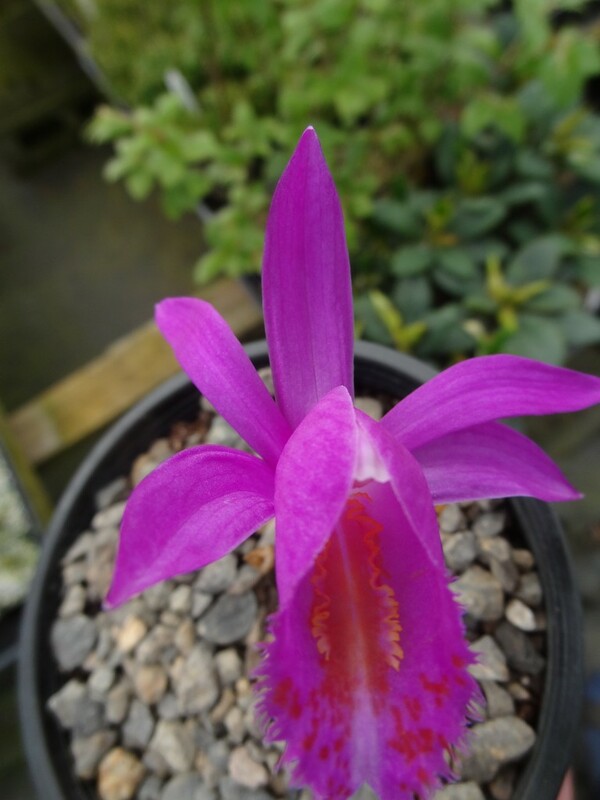 GH20 also houses a collection of Pleione cultivars, some of which I have been growing for twenty years, but to date I've never sold even one. They are fun to have and I have even grown them outdoors; they survive our winters, but eventually the squirrels find and devour the bulbs. 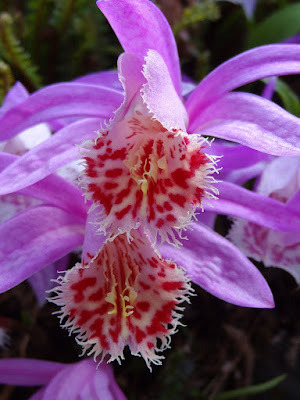 We never seem to devote the time to propagate Pleiones, but maybe that's good, for who knows if I could sell them. 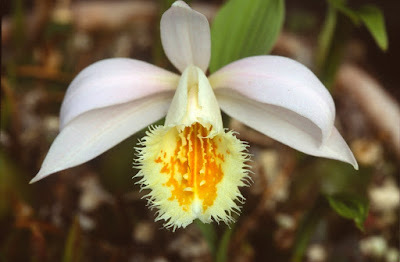 There are various theories as to the origin of the name Pleione, which is derived from Greek. The name of the Pleione star can mean “to sail,” and may refer to her mythical status as an Oceanid nymph. Another meaning could be “more,” “full” or “plenty.” Lastly, it might mean “doves,” due to Zeus turning nearby stars (the Pleiades cluster) into a flock of doves as they were pursued by Orion, the great huntsman, across the heavens. The star is no dove, however, as it is 190 times more luminous than our Sun. Pleione is also a Greek girl's name meaning “Goddess with many daughters.” It is commonly called the “window-sill orchid” because in Britain – and in my house too – they are brought inside in late February, and the warmth of the house will produce an early feast of flowers by March. 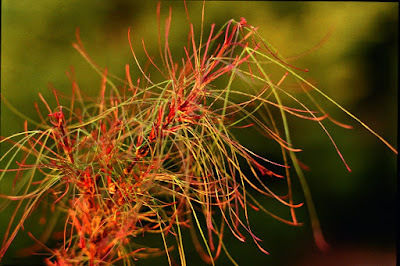 My first encounter with Manihot was at the Sarah P. Duke Gardens a couple of years ago. 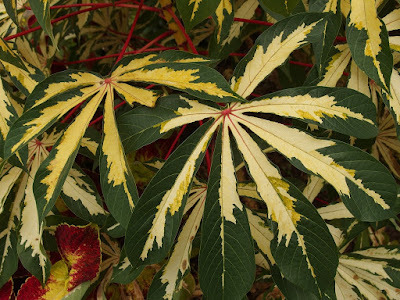 The place was rife with M. esculenta 'Variegata', and I stared at the first specimen I saw – without a label – for a long time trying to figure it out. I'm not sure where I would place one in my garden, so I'd probably keep it in a container. 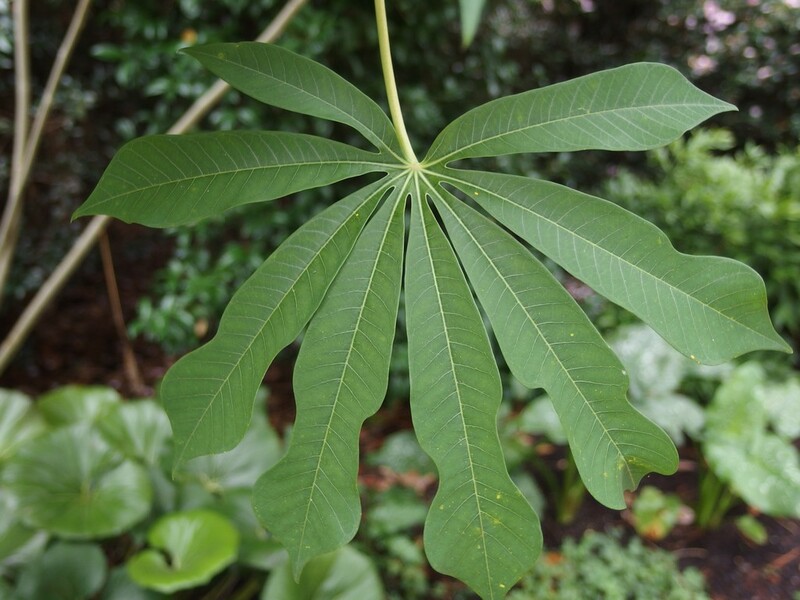 I asked a tall good-looking female gardener with sweat on her brow what the plant was, and she replied “Manihot.” “Excuse me?” “Manihot, you know, like in tapioca.” No I didn't know. She wiped her brow with her sleeve and went back to her hard work. I still don't have this plant, but if I ever get one it will remind me of her every time I see it, fondly so. Later in the Duke garden I stumbled into another species of Manihot, grahamii, and I liked it immensely, especially since it is hardy to Zone 7. 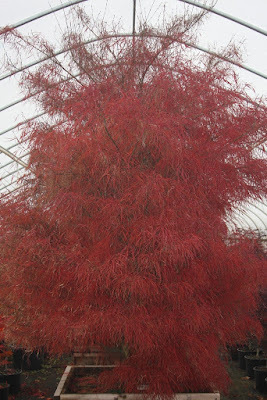 I ordered one from Plant Delights Nursery in North Carolina and later this fall I will plant it in the Display Garden; so no, it's absolutely not for sale. 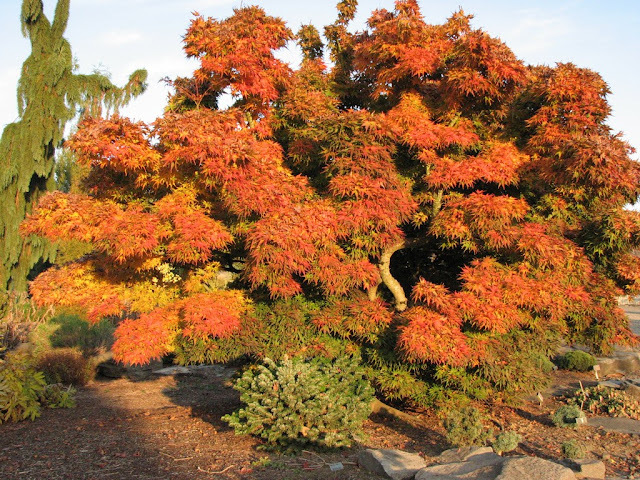 I can expect it to die back to the ground each winter, but it is said (Plant Delights) that it will “quickly resprout and reach 8-10' by the end of the season.” In one photo above, you can see the autumn leaves turning to yellow. 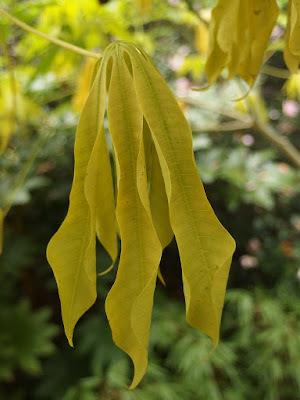 M. grahamii is in the Euphorbiaceae family and it is native to Brazil, Argentina, Paraguay and Uruguay, so indeed it is a “hardy tropical.” I look forward to its flowers which are pale yellow with purple markings, but my one plant has yet to bloom. 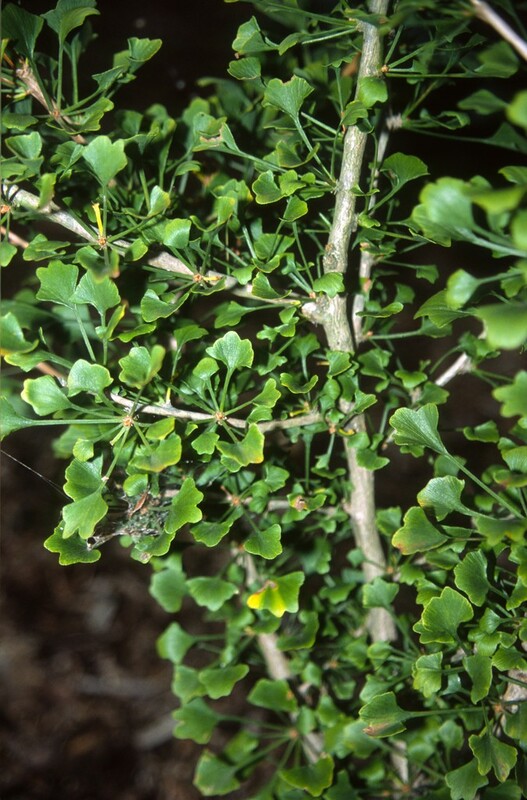 Another plant that I won't sell is Berberis temolaica. I once had a good-sized specimen in the garden, but it was in the wrong place so I dug it out and sold it. 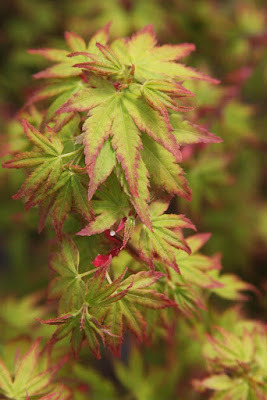 After a few years I saw it listed in Gossler Farm Nursery, and I ordered a couple. They are still in the greenhouse which explains why the foliage (above) is greenish, but in full sun the leaves will be bluish-gray, and that is “a delightful blend of colour with its pale-yellow flowers” (G.S. 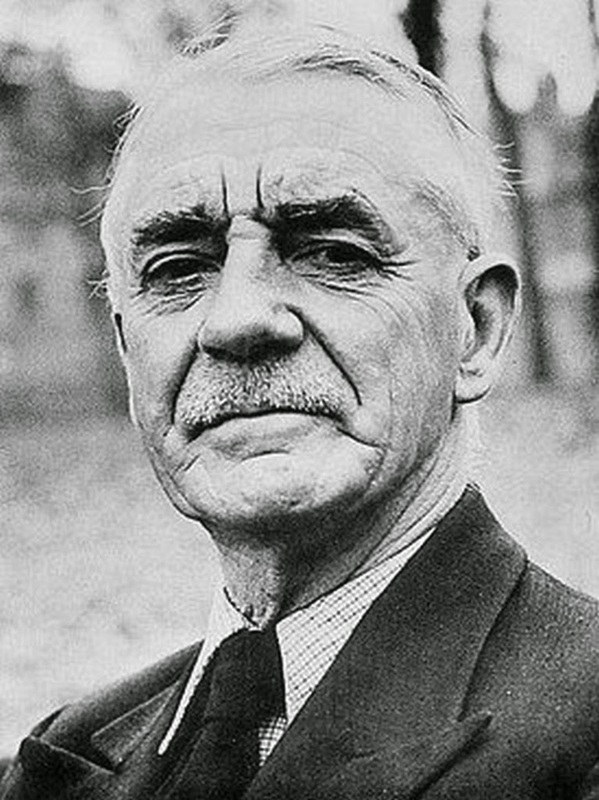 Thomas). 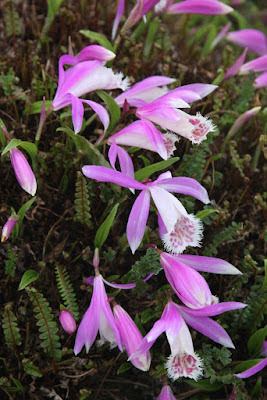 Temolaica was discovered in Tibet in 1924 by Frank Kingdon Ward and was initially distributed under the name B. mekongensis, and that name is still considered valid by Kew. My 1976 edition of Krussmann's Manual of Cultivated Trees and Shrubs lists both species, with mekongensis coming from Yunnan, and temolaica from southeast Tibet. Somewhere along the way the Kew botanist Leslie Ahrendt (1903-1969) decided on temolaica, but I don't know why. 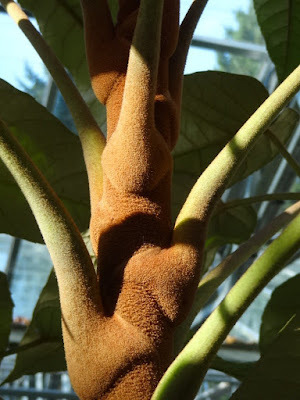 Do the botanists at Kew ever talk to each other if they say mekongensis is valid? 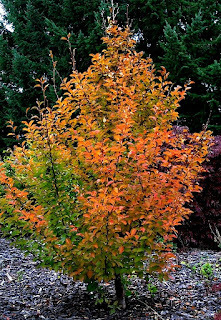 In 1961 Ahrendt wrote in the Journal of the Linnean Society, “The time is fast coming when gardens of any pretentions to beauty will be judged by their collections of Berberia, for there is not any other class of evergreen shrub which affords so many points for interesting observation.” Ok Ms. Ahrendt, but I'll bet that she never worked at a nursery and had to make Berberis's thorny cuttings. 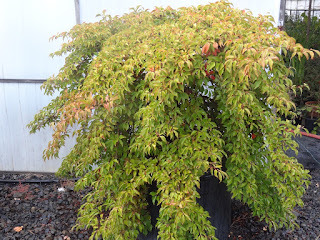 I have been asked a number of times if my oldest Acer saccharum 'Monumentale' along the main road into the nursery is for sale, and the answer is always “no.” Upon re-consideration, “Make me an offer.” There are a number of upright columnar “sugar maples,” and I think the nomenclature is sketchy. Hillier equates 'Newton Sentry' with 'Columnare' and 'Temple's Upright' with 'Monumentale', while Krussmann claims that 'Newton Sentry'/'Columnare' was introduced in 1885 by F.L. Temple of Shady Hill Nurseries in Massachusetts. Did old Temple select more than one pillarous seedling? Michael Dathe of Newton, MA sets the record straight in Arnoldia (summer, 1983), “Two years after introducing the 'Newton Sentry', found near the Newton Cemetery, Temple also introduced another upright maple, which he called Acer saccharinum [sic] monumentale.” Dathe continues, “For all Temple's hope for his new introduction, 'Newton Sentry' has never become a popular landscape plant. 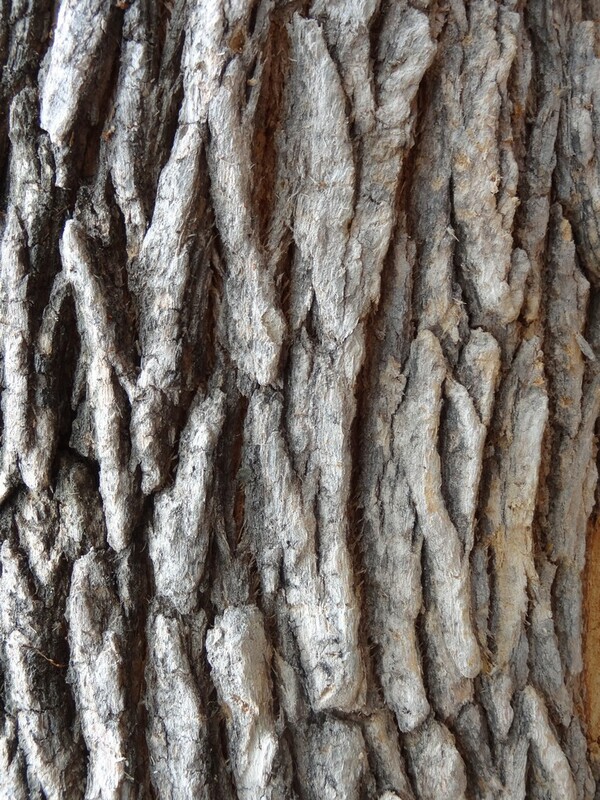 The usual design limitation of columnar trees and its own sticklike appearance in winter for the first 25 years are possible reasons for its lack of popularity.” I disagree with that completely for they are very easy to sell, and the only thing I find difficult is our propagation efforts which are very dismal. 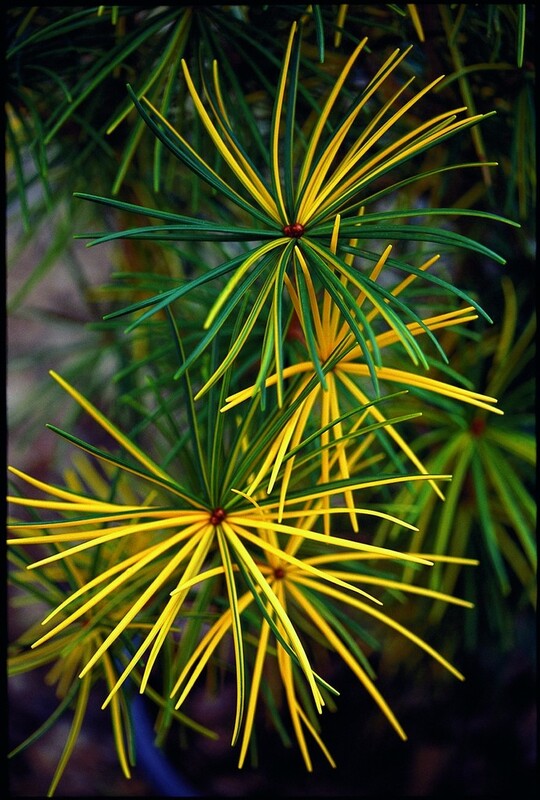 Another not-for-sale tree that I'll mention is Sciadopitys verticillata 'Mr. 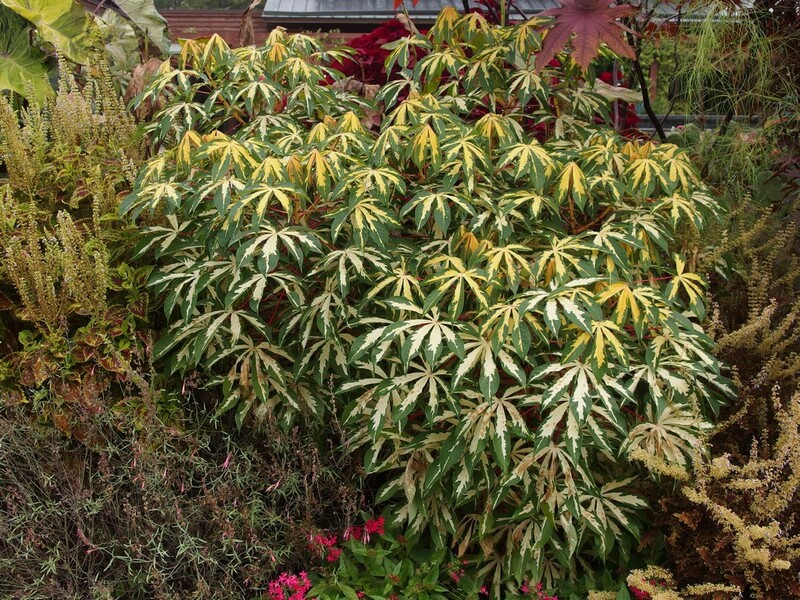 Happy', once a normal green rooted cutting from S. v. 'Winter Green' that later developed variegated portions. Everybody wanted to buy it, and of course they did. I resolved the issue by removing the tree from its cedar box and planted it along my long driveway at home. It struggled for the first two years and got beat up by the winter winds, but finally it is taking hold. Propagules from the original are in hot demand, but the rootstock is expensive to buy and our own rooting seems to have taken a dive in recent years. 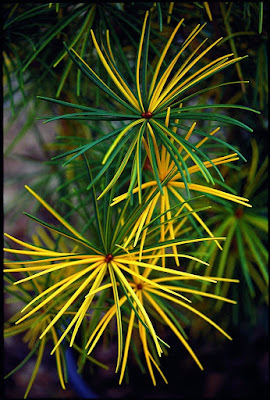 One must select the perfect scion when grafting; if too yellow the result will be a tree that burns, and if completely green you'll have a regular Sciadopitys. From the photos above you can see the shoots that I prefer. Some of my plants will outlive me but some won't. In a sense we are just borrowing them for a while. The largest Acer palmatum 'Mikawa yatsubusa' (in the world?) is growing in our 'Short Road' section, and visitors have asked if I would consider selling it, and at what price? My answer is always the same, that it is indeed for sale, but you have to buy the whole nursery to get it. Yes, the nursery is always for sale. Leaves. 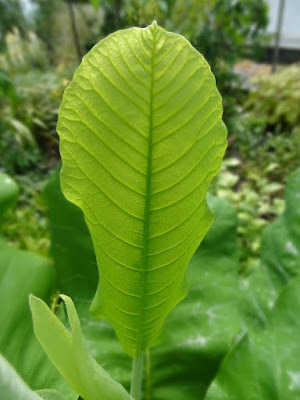 Leaf – from Old English, related to Dutch loof and German laub – is typically an organ of a vascular plant and is the lateral appendage of the stem. 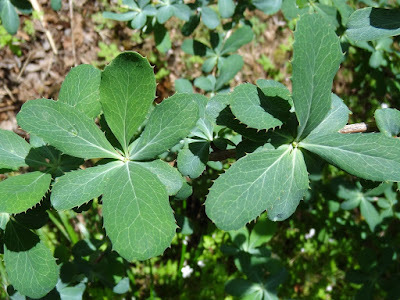 Foliage – from Latin folium – refers to leaves collectively. 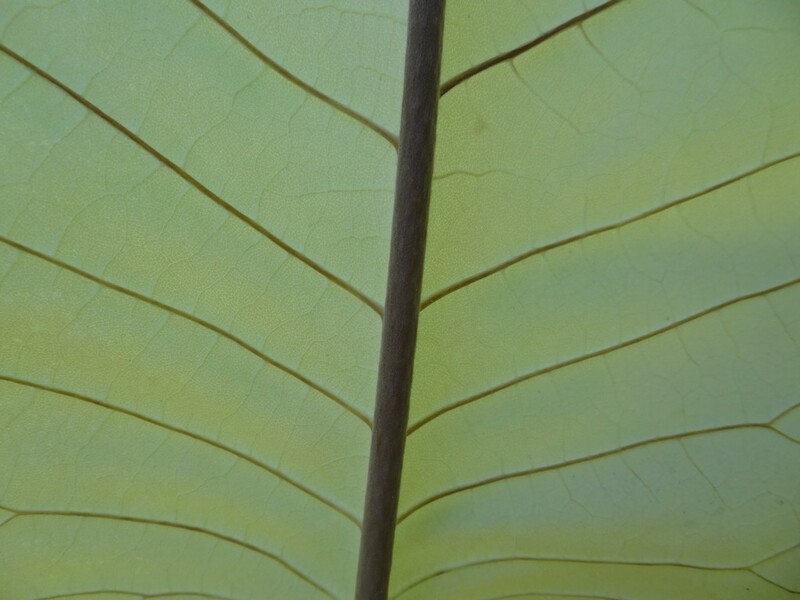 My existence has been filled with myriad* millions of leaves, and probably every cell in my brain is stuffed with leaf encounters – memories, my autobiography so to speak. I was born with a special relationship with leaves – it's not a skill at all, it's just the way it is – or how else would you explain my forte for finding four-leaf clovers, possibly more than anyone else on earth? More accurately, I don't find them, they find me; they sing out: "here I am, here I am," which delights my children and is the principal reason why my happy wife fell for me. *Myriad, from Greek myrias, is technically the number for 10,000, but today it can be translated as a hell-of-a-lot or a shitload. I tease my second child Laura, now thirty, married and successfully employed, that perhaps someday she would like to take over the reins of Buchholz Nursery, to keep the viable enterprise in the family. 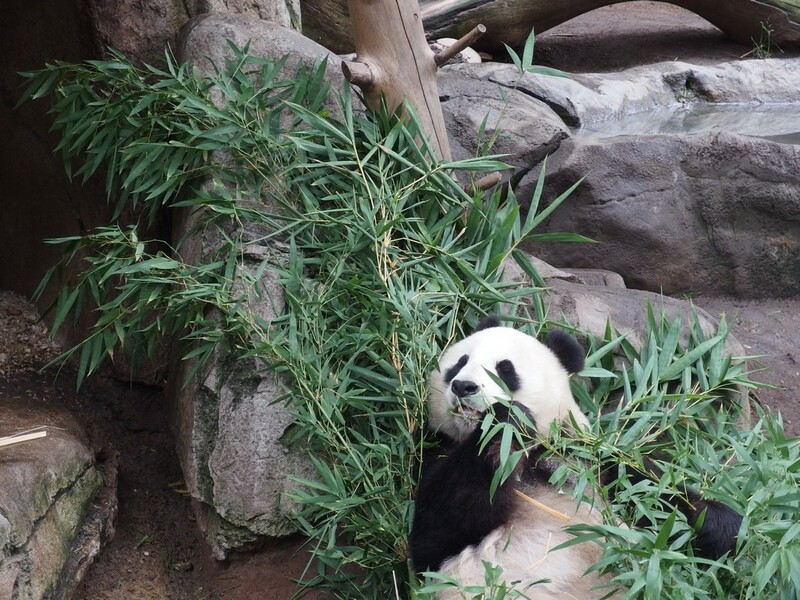 But she replies, "Ya know Pops, I'm just not into leaves the way you are." Being into leaves can become a hellish responsibility, as in trying to keep them all green with this year's brutal summer heat. We failed in some cases, with green turning to brown...then to a crisp-blonde, a situation that will not be redeemed with any autumn "color." The American Maple Society will visit the nursery on October 30, and I wonder if any leaves will still be on the trees at that time. We have planted a new garden this summer in what was formally the basketball court, and the location was selected for ferns, dwarf Rhododendrons, Epimediums and the like, all happy under 50% shade cloth. Today my favorite of the hundred or so plants is Woodwardia unigemmata, as the new growth is mahogany-red and glossy. 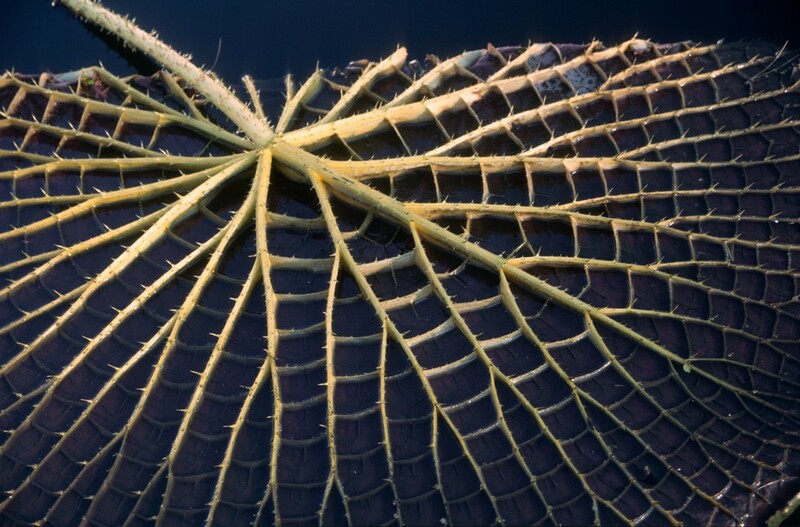 The species is from mountain forests of China, Japan and the Himalayas, with the limitation that it is hardy to only 14 degrees F according to The Plant Lovers Guide To Ferns by Richie Steffen and Sue Olsen. Sue's previous book, The Encyclopedia of Garden Ferns, single-handedly turned me into a Fool For Ferns, but it is puzzling that it took me so long. The Woodwardia genus resides in the Blechnaceae family, and was named for the British botanist Thomas Woodward by another botanist, Sir James Edward Smith. The species name unigemmata* is due to the single – usually – bulbil which forms at the tip of the frond, from which one can propagate a new plant. 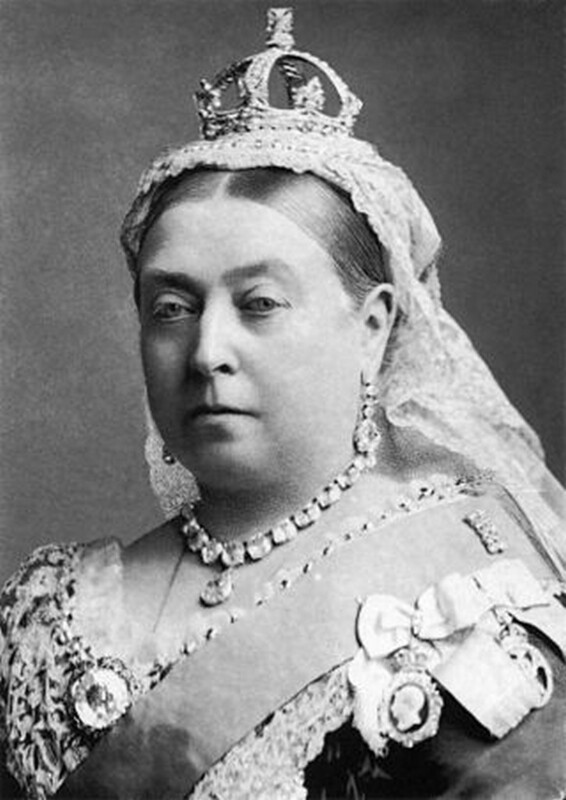 *Gemma is Latin for a "bud" or "jewel," hence gemstone." Another leaf that caught my eye this past spring was the highly-indented Schefflera delavayi grown by Far Reaches Farm in Washington state. 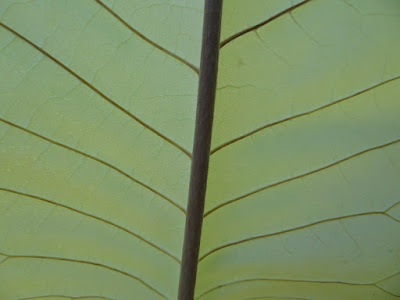 My plants of the species, grown from seed, occasionally show some indentation, but never like theirs. 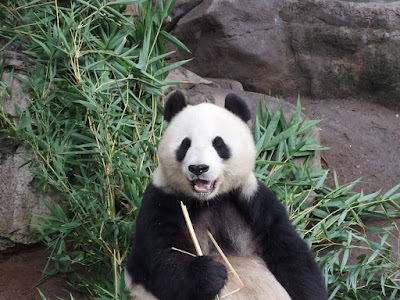 S. delavayi was introduced from China by Edward Needham in the early 1990's, and of course the specific name honors Pere Armand David, the French missionary who toiled for years in China. 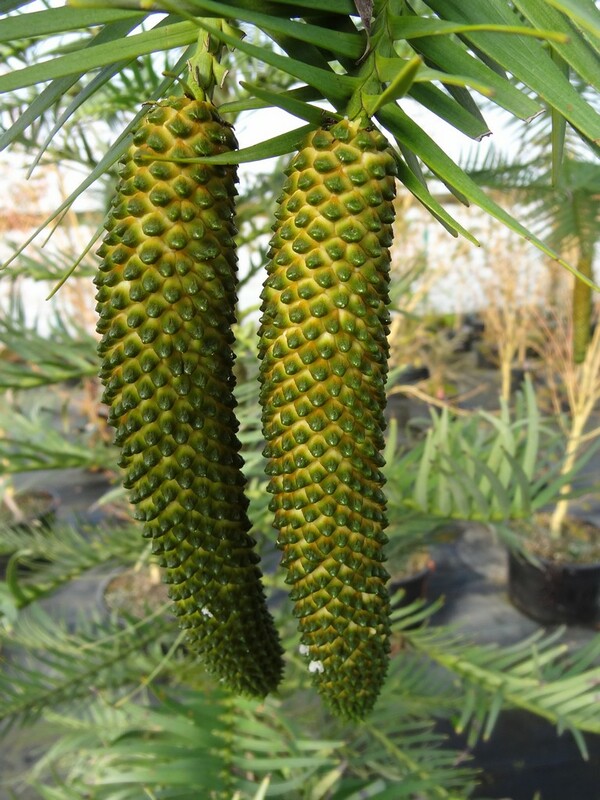 The genus was named for Johan von Scheffler (born in 1739), a Polish physician and botanist, and it is in the Araliaceae family. S. macrophylla is a species with enormous leaves, but unfortunately it is not as hardy as delavayi. 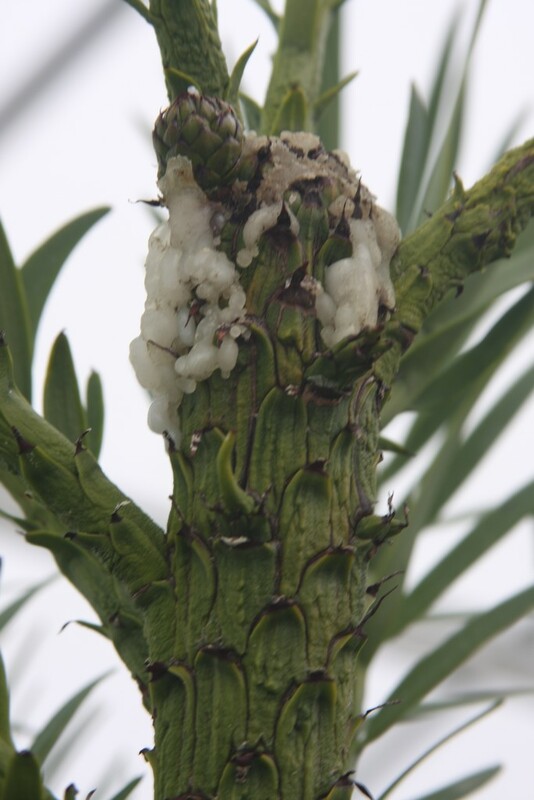 The photos of S. macrophylla above were taken in the conservatory at the Rhododendron Species Foundation, and I noticed this past spring that they had severely reduced their tree because it had grown to the top of the structure, and probably every three or four years they'll have to whack it back again. 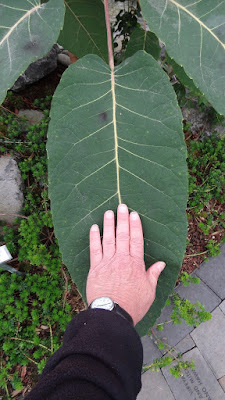 I cannot mention leaves without bringing attention to Magnolia macrophylla, since the tropical-looking appendages are magnificent in size, especially attractive in autumn when the leaf undersides reveal distinguished veins. 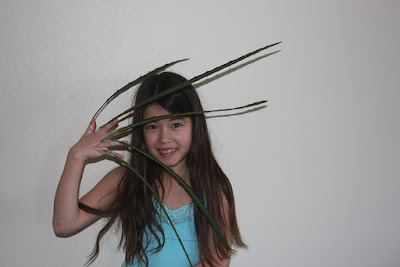 My daughter takes the leaves to school in October – about 25 of them – and distributes the foliage to her classmates. Naturally the female teachers become obsequious over the leaves, or rather over the special father who supplies them. Alas, the school boys fight, swat and tear their leaves to shreds, but the girls admire and protect theirs. I know that I'm placing the kids into stereotypes, but it happens every year. 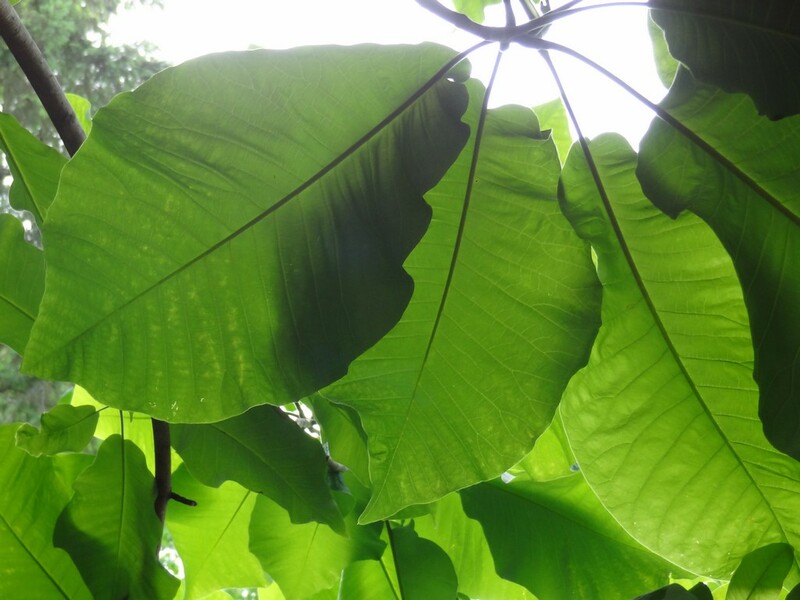 Hillier calls M. macrophylla "awe-inspiring," and I can't imagine him ruining a leaf. My tree is planted at the base of a hill, down by the creek, which was intentional to keep the wind from damaging the foliage. 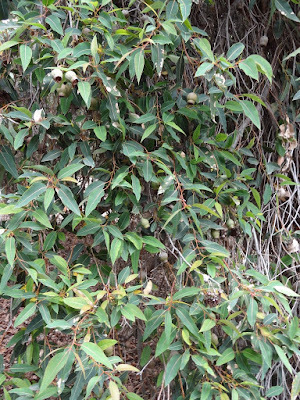 It has a companion, smaller in all respects, M. macrophylla ssp. 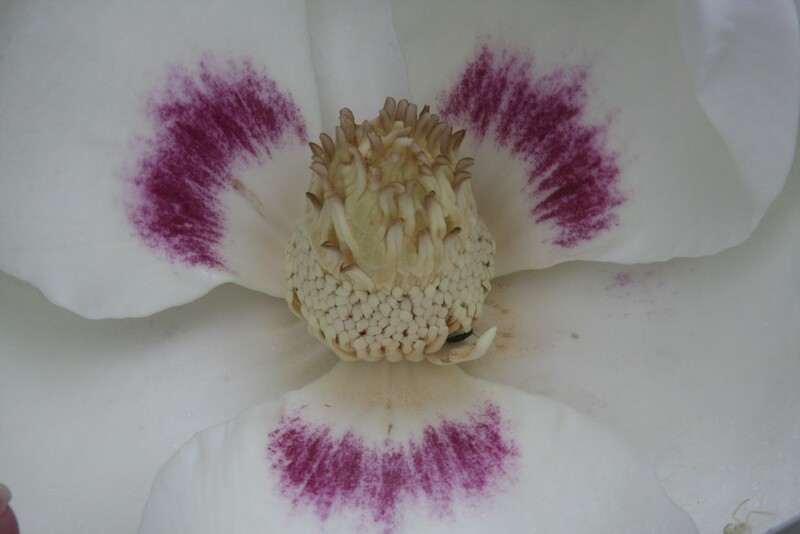 ashei, and if you get them mixed up, wait until flowering, for ashei will have the outer 3 tepals blotched with purple. 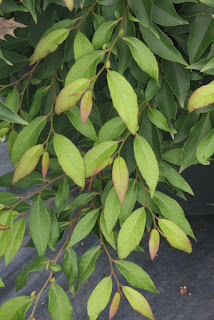 Hillier again, "It is strange that a plant [of ssp. 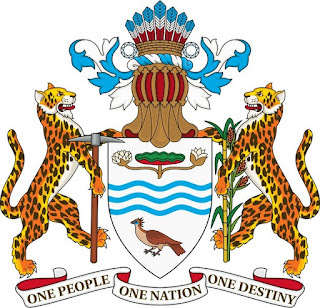 ashei] of this quality, growing in a country enjoying western civilisation [sic] was not recorded in cultivation until 1933." 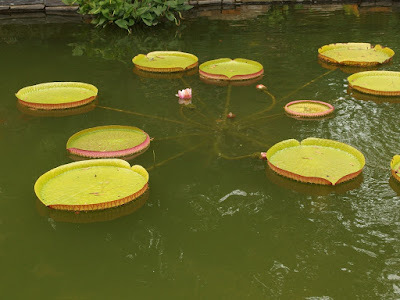 Victoria amazonica is a genus in the Nymphaeaceae family, and the family name is derived from Greek nymphaia which meant "waterlily," inspired by the nymphs of Greek mythology. 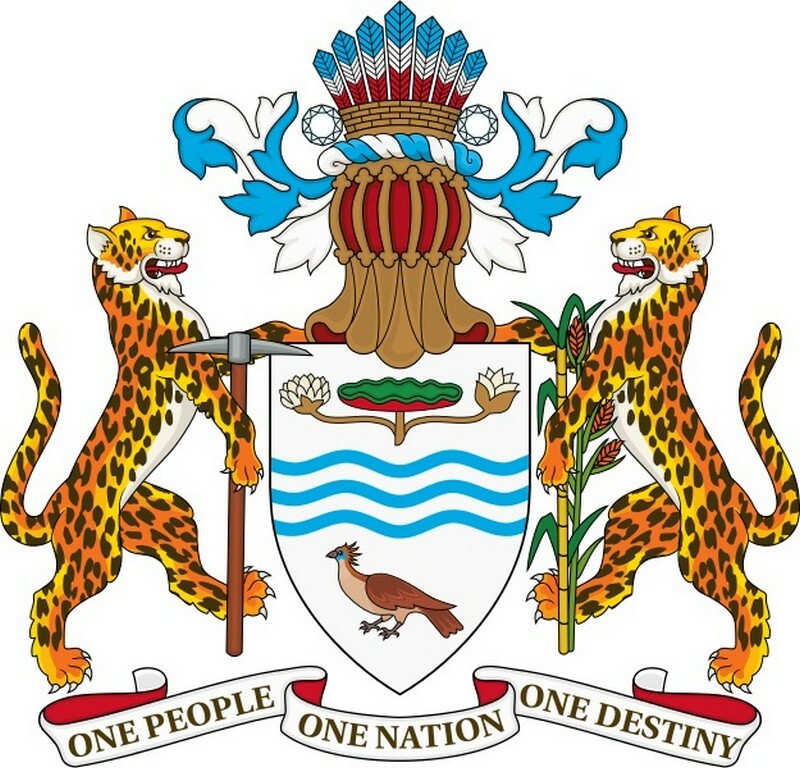 The non-hardy Victoria is native to the shallow waters of the Amazon River, and in fact it is on the Guyanese coat of arms as it is their national flower. The leaves of this largest of all waterlily can grow to 10' in diameter, and photographers love to place a toddler on one to illustrate how amazing is our plant world. Flowers – pollinated by beetles – are white the first night they are open, then pink the second, and they can grow to 18" in diameter. The flowers, that is, not the beetles. 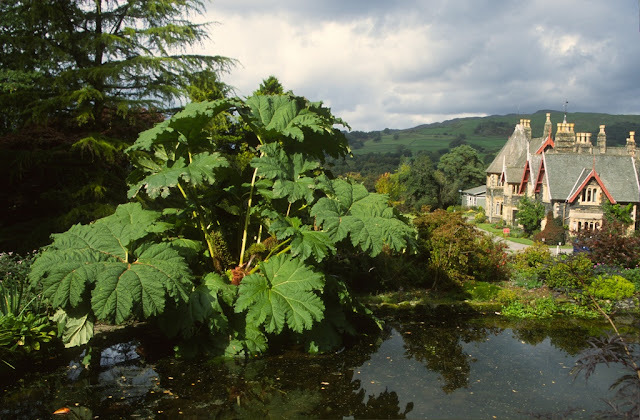 John Lindley 1799-1865 was the English botanist to first describe Victoria, and presumably that made a great impression on the newly ascended British Queen and Empress of India. As legend has it, a beautiful Amazonian Indian girl refused to marry, preferring instead the Warrior of the Moon. One night she saw a reflection of the moon on a lake and was convinced that he had descended to earth to bathe, and sadly she fell for the illusion and drowned. The Moon Warrior grieved for the girl who gave up her life to be with him, so he transformed her to the plant which blooms at night. 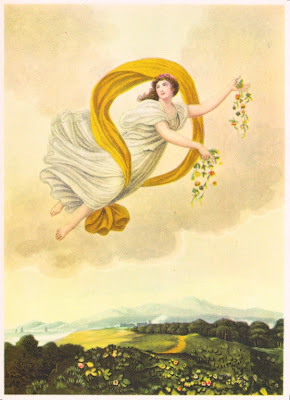 Legend continues that the Victoria only flowers during a full moon and when the sky is cloudless, and that allows her to see her true love, the Warrior of the Moon. Ahh. I don't know for certain the species of the Gunnera (above), but the photo was taken at Holehird in the Lake District in England. 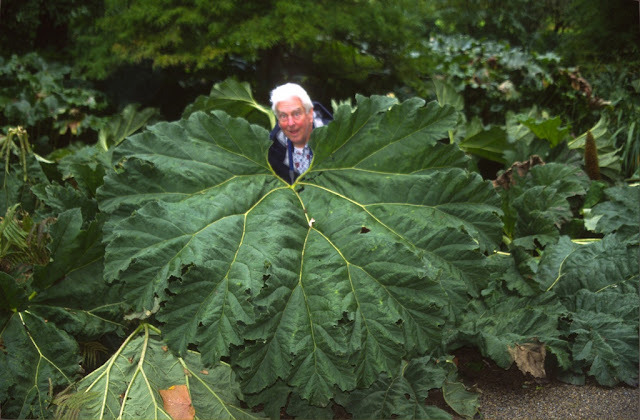 The photo of my "grandfather" acting goofy was taken at Harlow Carr, also in England, and again there was no species identification. 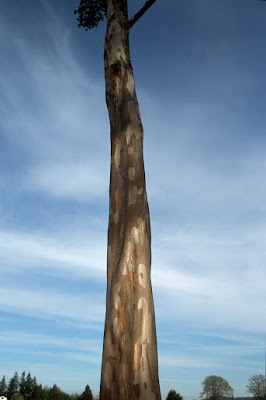 The genus contains about 40 species, with perhaps manicata, from southeastern Brazil, growing the largest, to nearly 11' in width. These "Giant Rhubarb" leaves are supported by large succulent stalks which are botanically considered petioles. 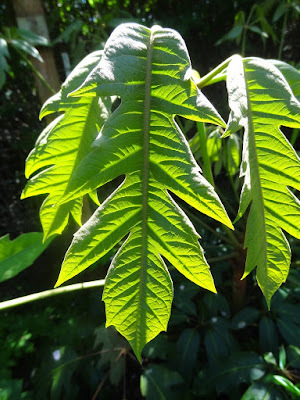 The tiniest of the Gunneras is albocarpa from New Zealand with leaves less than an inch long; and from southern South America, G. magellanica features leaves 2-4” wide on stalks 3-6” long. 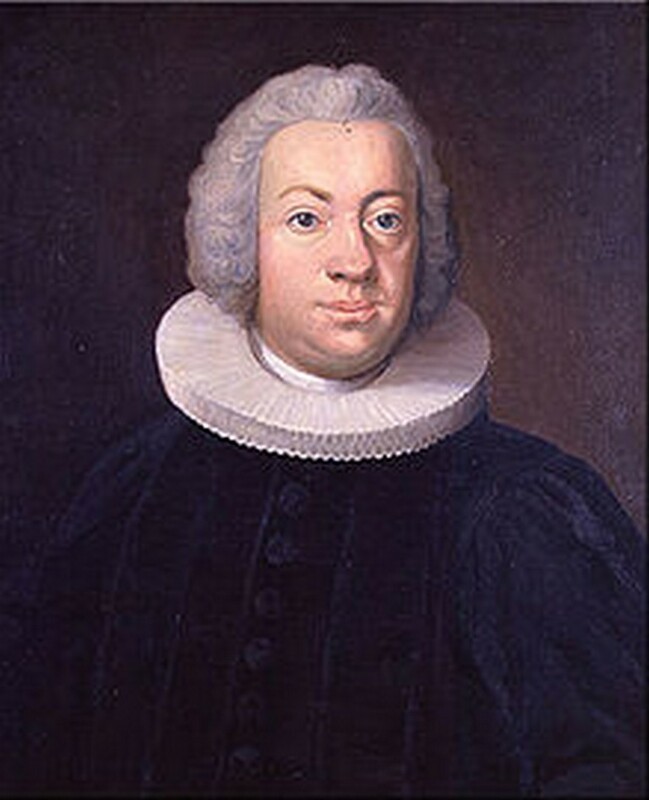 The genus was named after the Norwegian botanist Johann Ernst Gunnerus (1718-1773) who was also the Bishop of Nidaros, and interestingly the Holy One was born in Christiania, Norway. Gunnerus corresponded with Linnaeus, and even further from botany, he was the first to suggest that the Northern Lights were caused by the sun, and that there must be auroras around the moon, Venus and Mercury. Polymaths such as Gunnerus remind me that I am exceptionally shallow in comparison, but thankfully I am better looking. I love Ginkgo biloba, and I grow the smallest-leaved form imaginable, G. b. 'Munchkin'. But maybe I should defer to its discoverer, Crispin Silva of Oregon, who originally named it 'Chris (or Chris's) Dwarf' after his son. Apparently Silva's former nursery employer got ahold of the selection and renamed it 'Munchkin', and while that is a catchy name, it was a rather arrogant thing to do. But since it is now firmly known in the trade as 'Munchkin', that is the name I use since I'm not on a mission to right the world's wrongs. 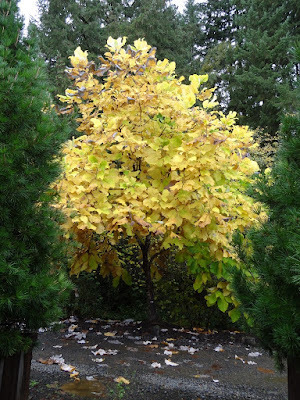 In any case the leaves on my oldest plant vary in size as photographed above, and they turn butter yellow in fall just like a regular Ginkgo. At my home I have planted 'Munchkin' next to an Ilex serrata 'Koshobai'; the point is to demonstrate that the Ilex with the tiniest of berries pairs well with the Ginkgo with the diminutive leaves, as if both took an anti-growth pill. 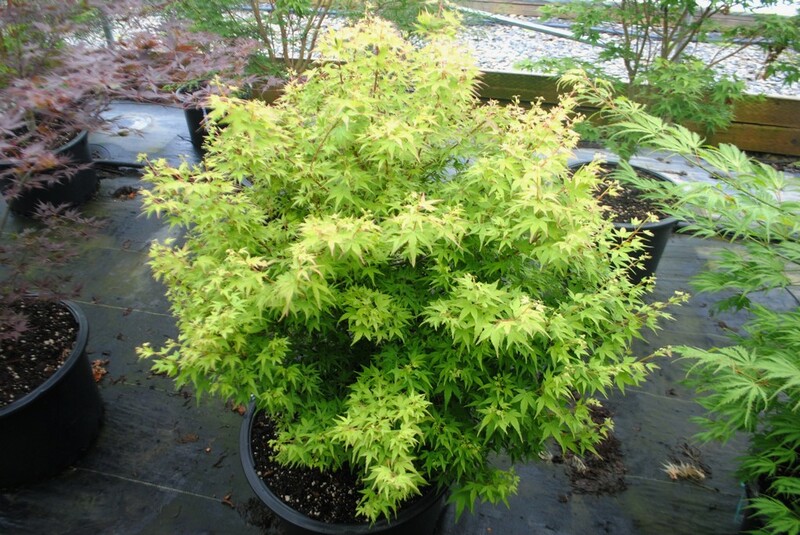 Also notable for its tiny leaves is Acer palmatum 'Saiho'. 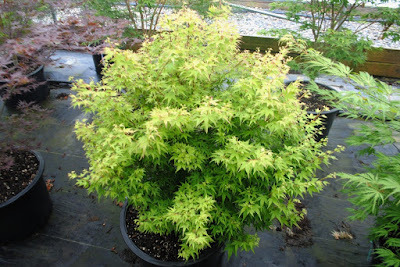 Are they smaller than Acer palmatum 'Hanami nishiki' or Acer palmatum 'Beni hime'? About the same I suppose, but Saiho is very pretty in spring with yellow leaves tipped in reddish-brown. 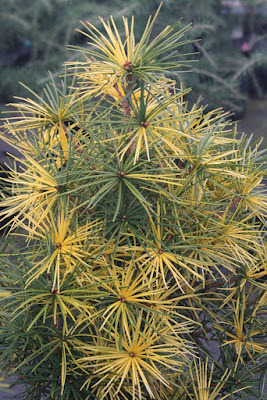 By summer the foliage evolves to yellow-green, and it is always a bright ball in the landscape. 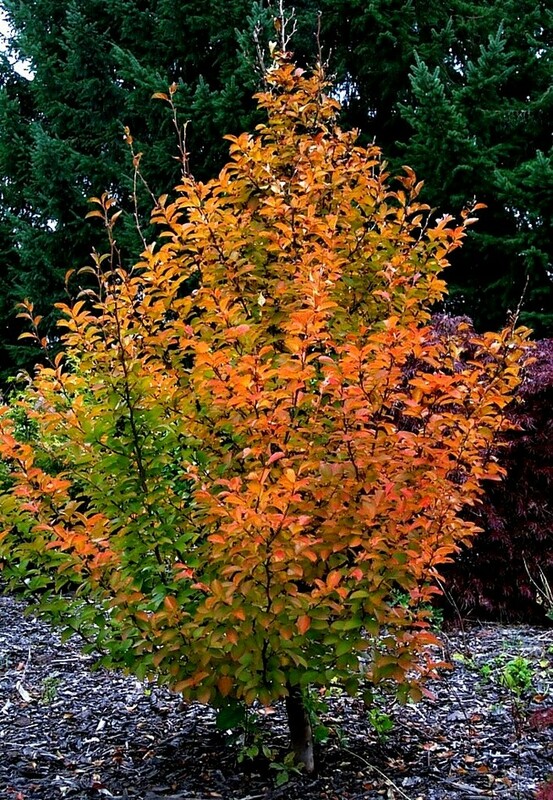 In fall the foliage can range from yellow to orange to red, and the bush is ablaze even though the leaves are tiny. I keep a fun plant around in a wood box in GH20, Begonia 'Escargot', and I've had it for over ten years. We used to propagate it by leaf cuttings, where a piece of the leaf placed on damp soil will magically form roots. 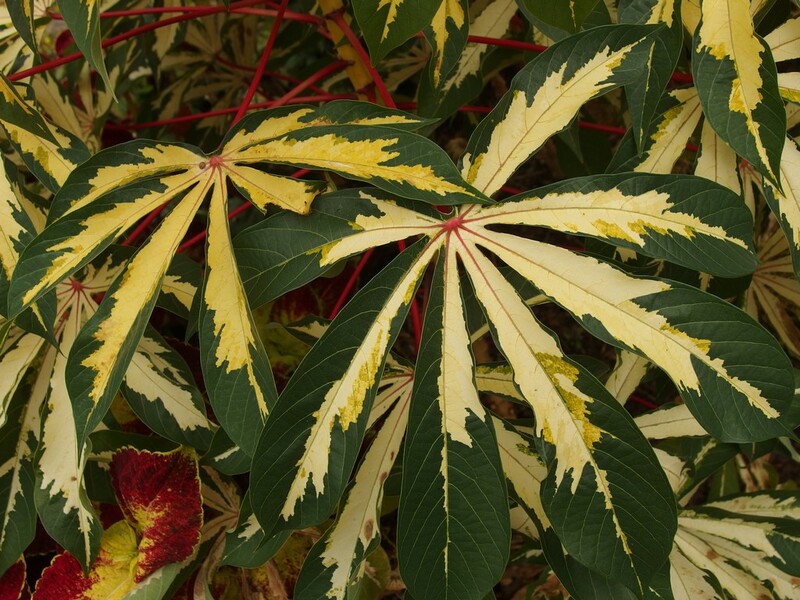 These plants sold well – and why wouldn't they? – until I discovered that the damn thing was patented and propagation was not allowed. One of my customers was called out about it, but he didn't “remember” where he got his 'Escargot', and neither of us was fined or imprisoned but I did discontinue production. 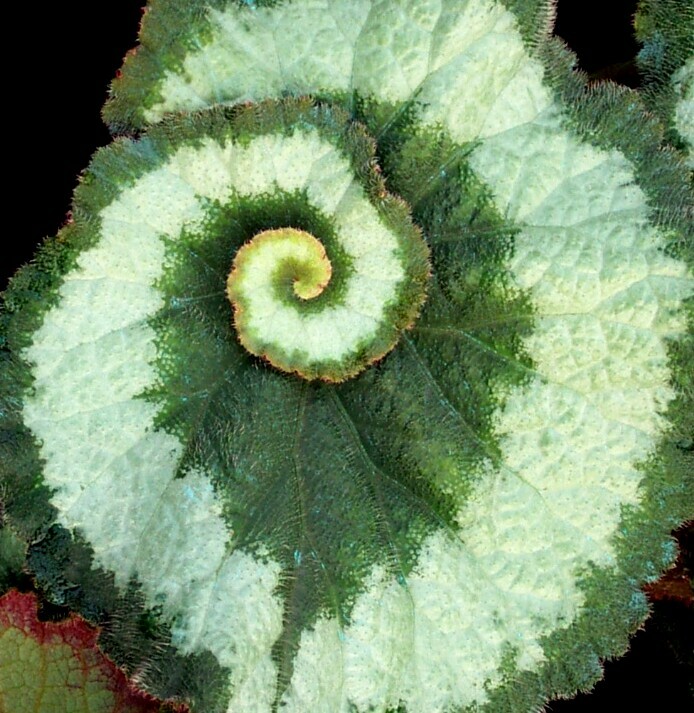 'Escargot' is a “Rex” begonia which means it is a member of the Rex (or King) Cultorum group, and the cultivars which are marketed – as annuals primarily – feature wild coloration. 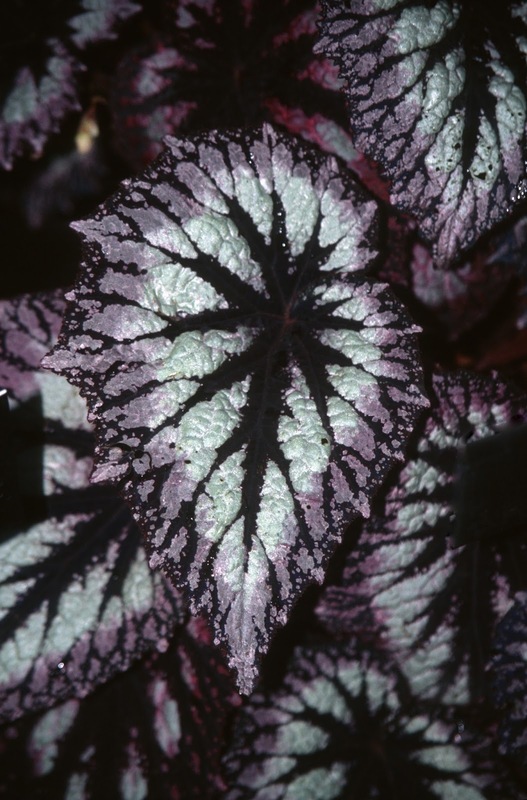 The Begonia genus was named for Michel Begon (1638-1710), a French botanist who discovered the plant on the Island of Santo Domingo (Dominican Republic) and introduced it to Europe. Escargot is a French word, somehow derived from Vulgar Latin coculium, and means “edible snail,” and the slitherers are native to French wine areas like Burgundy where they feed on grape leaves. 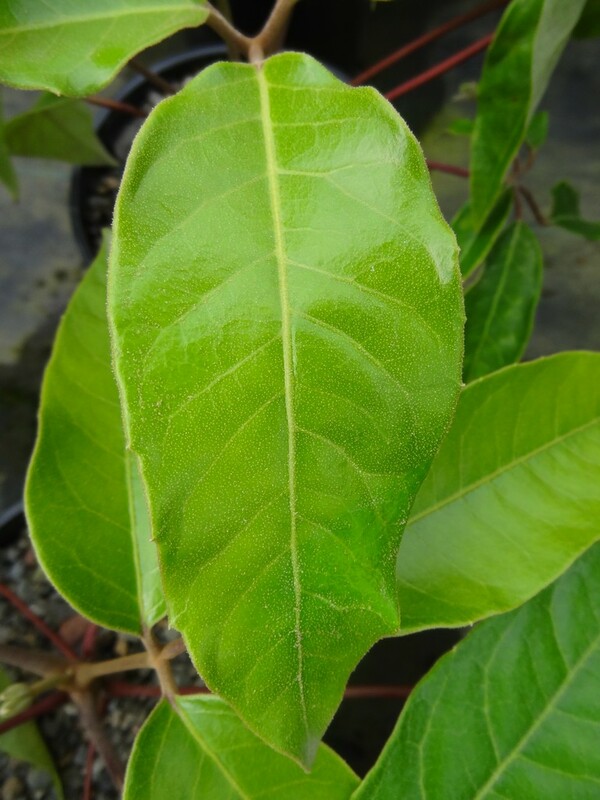 Helwingia chinensis is an interesting shrub, for it features its flowers on the upper surface of its leaves, botanically known as epiphyllous. Most of the visitors to the nursery don't know anything about Helwingia and are unimpressed...until I point out the position of its flowers. Helwingia is the only genus in the Helwingiaceae family and it is native to eastern Asia and the Himalayas. 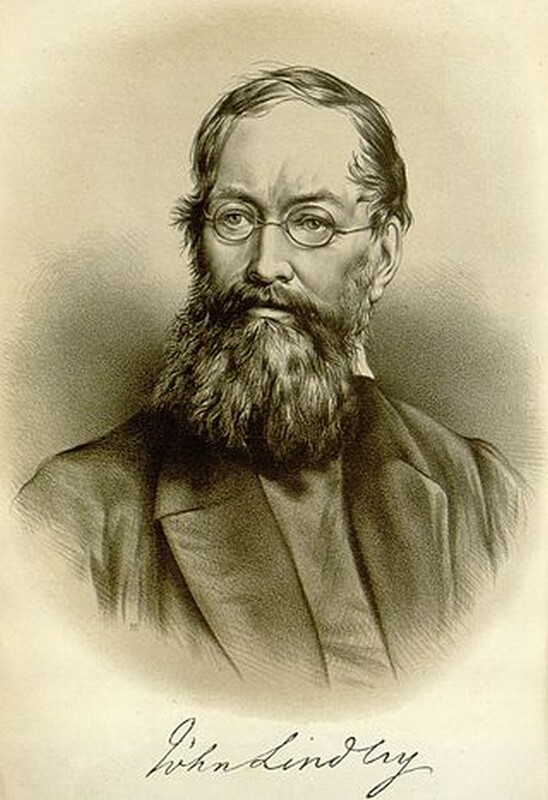 The name honors Georg Andreas Helwing, a German pastor who was an expert on his native flora, although the good reverend never set foot in Asia or ever saw a plant of Helwingia. The genus was introduced into Europe from Japan by Philipp von Siebold in 1830, long after Helwing had died. 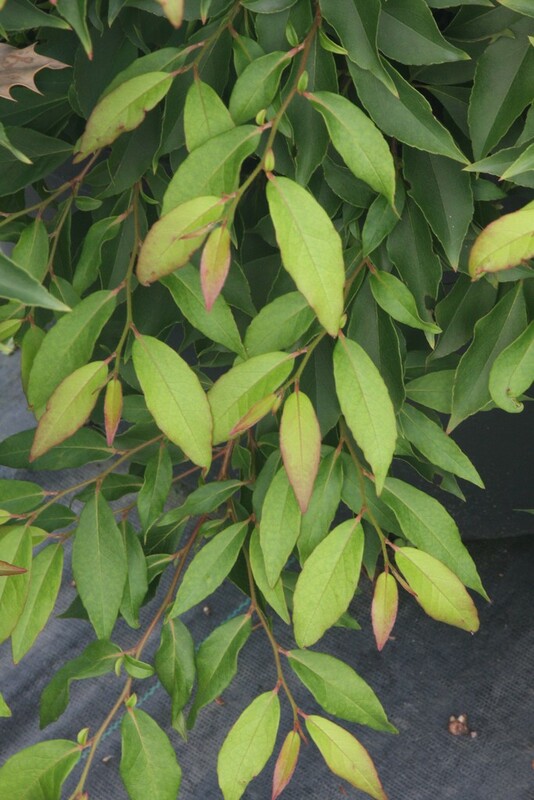 Helwingia will root from softwood cuttings in summer under mist, and we grow the male Broad-Leaved-Form and the female Narrow-Leaved-Form. These “forms” were acquired by Dan Hinkley of the former Heronswood Nursery from the late J.C. Raulston, and I suppose the narrow female clone is the one I prefer as I am a fan of the skinny. 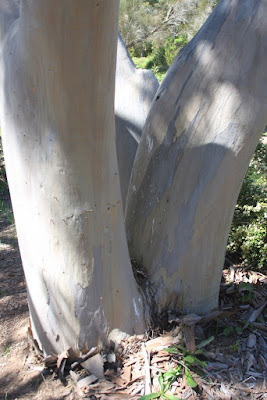 There are some plant leaves that I don't particularly care for, like Eucalyptus, so I don't have them in the collection even though I admire their trunks. 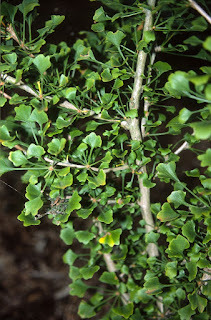 Where hardy, most arboreta contain the genus, and they are perfectly sited...anywhere but in my garden. The E. haemastoma (photo above) glowed in the spring light at the Santa Cruz Botanic Garden in California. This species is native to coastal hills near Sydney, Australia. 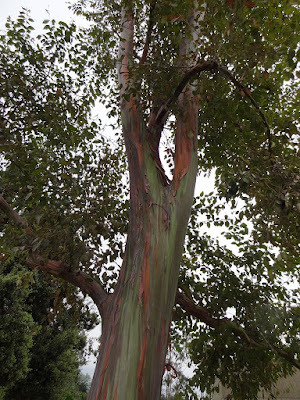 E. deglupta was photographed in Los Angeles, and it is the only species found naturally in the Northern Hemisphere – in New Guinea, Seram, Sulawesi and Mindanao in the Philippine Archipelago. 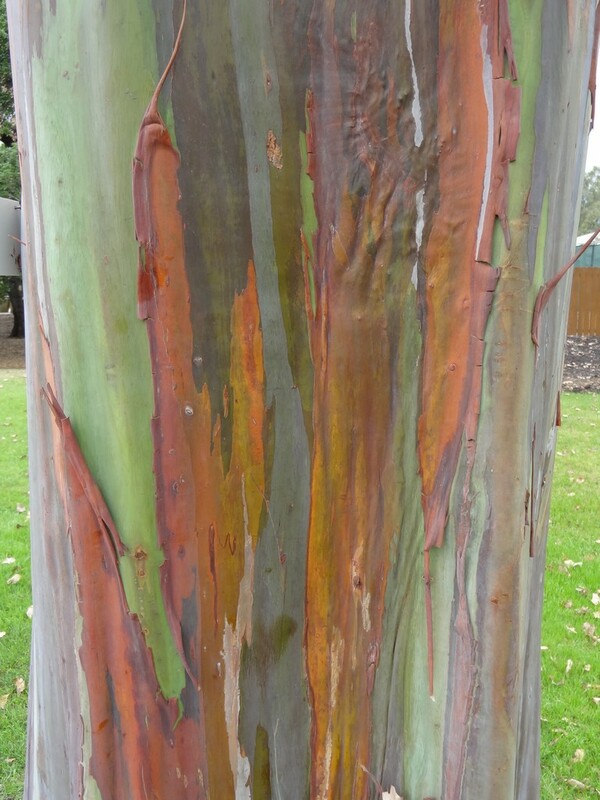 Not surprisingly it is commonly known as the Rainbow Eucalyptus. E. ficifolia was named because its leaf supposedly resembles that of a fig, although it doesn't look like any fig that I have seen. After this blog you can visit the photo library on our website to see more Eucalyptus species. The genus name is derived from Greek Kaluptein – “to cover” – because the unopened flower is well (eu) covered (kaluptos). Good bye, it is time that I leaf you.